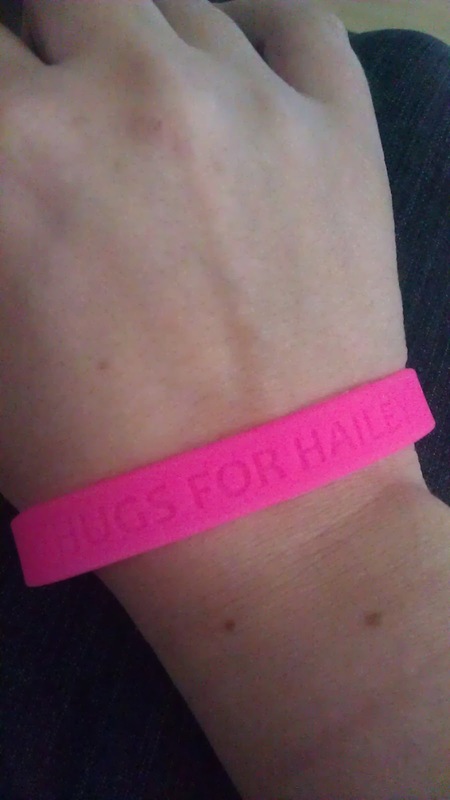 Hugs for Hailey: NEW ITEM!! 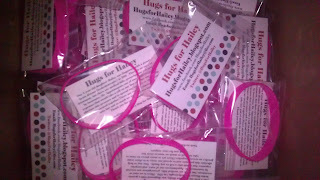 Hugs for Hailey Bracelets! There is something new we are adding to our Hugs for Hailey line. Besides Necklaces, and earrings, we now have silicone bracelets! 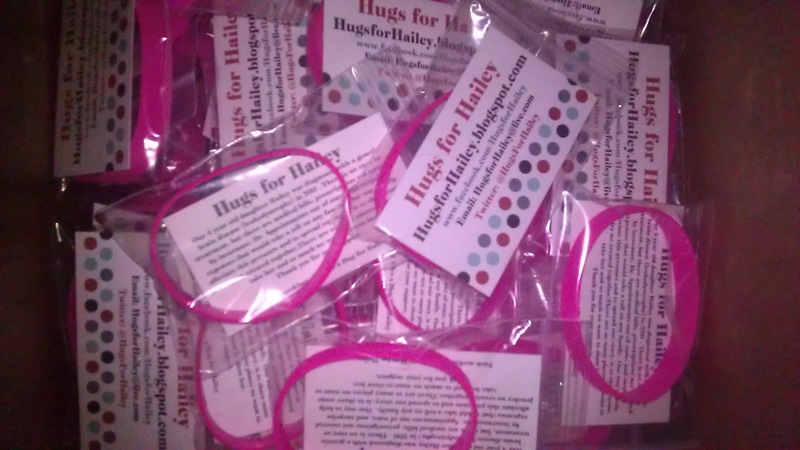 They have Hugs for Hailey on them along with our Facebook page address. We are selling them for $2 each. Shipping is $1 and $0.50 for each additional bracelet. If you want to place an order of 10 or more we can work out a flat rate price on shipping for you! Theses are all packaged and ready to go!! 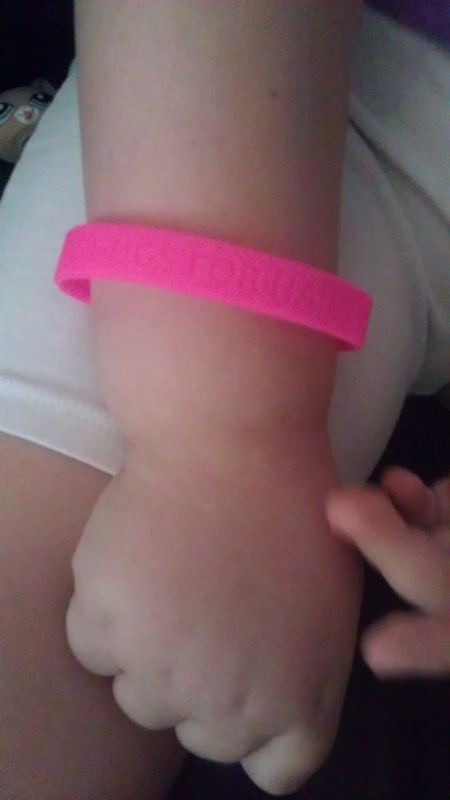 Even Josh and I have bracelets! This one is mine! You can contact me by email: hugsforhailey@live.com or through a message on facebook. I can send you a paypal invoice. Don't forget boys and men CAN wear hot pink too! !